Notes: Tried sleeping at 00:00 but couldn’t. After an hour of frustration, I went about reading, doing some OSM and SMR and coming up with more ideas for the blog. I could have continued staying like this but at 2:30, I thought maybe it’s time I try to force myself to fall asleep so I lay down and tried to relax as best I could. It was hard but eventually I fell asleep. I slept very deeply but woke up at 7 feeling crappy, hence the 6/10. The same feeling you get when you’ve slept too much. Is this the beginning of insomnia or just me optimizing my sleep so well that I no longer need the usual 8-9 hours to recover? Will continue keeping track and do some research in the meantime. 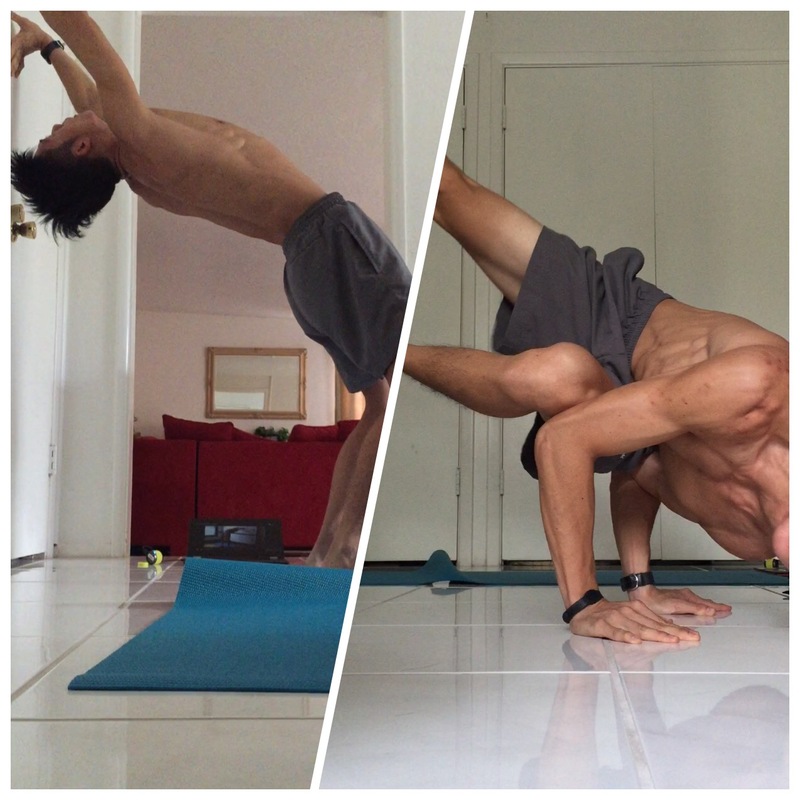 Notes: Learnt 2 new yoga moves today! Notes: This is becoming a habit. I do this almost all the time throughout the day, even now while typing, I’m leaning on a baseball next to a wall and massaging my lower back. Like I said, your tissues need at least 3 months to fully heal and SMR speeds up the healing. 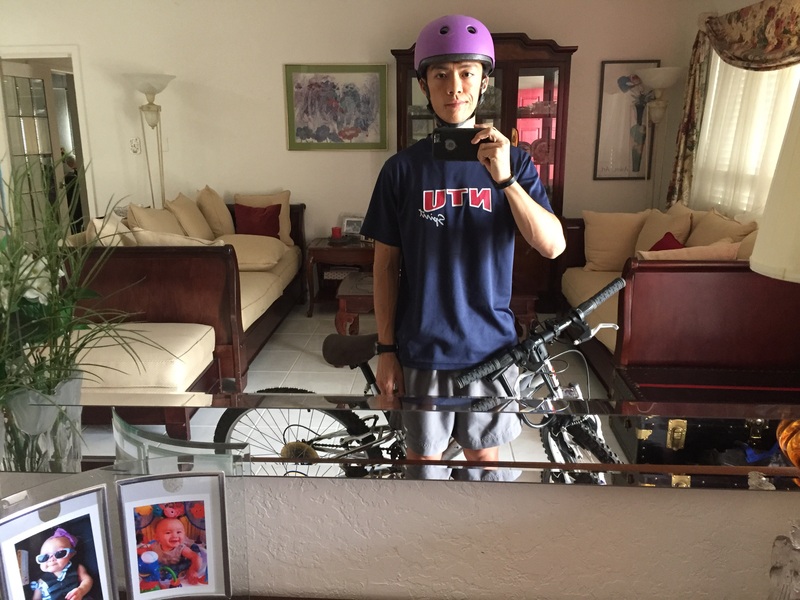 I know I look dorky… Better to save my head than my ego! The $60 helmet was free anyway. The weather looked a little forgiving today so I decided to cycle to the nearest bike shop called TryMeBicycle to fix the bike. Just before leaving, the merciless Arizona ☀️ came out and man it was 🔥🔥🔥! On the way back, the hill climb wasn’t very steep but the hill was probably 1mile long! So by the time I reached home, which also happened to be the steepest part of the hill, my legs were 🔥 and my HR was maxed! So I took advantage of the situation and did a max set of burpees and alternating side to side pull-ups. Man, I love the pump! Created my very own YouTube Channel! (Because I needed space on my phone…) This is the first video. 1 Mile Sandbag Carry back home. Notes: Most brutal power and enjoyable workout to date. The 1st mile took me 15′ and I could jog the whole way. On the way back after the exercises, my ⛽️tank was empty! Had to alternate btw walking and jogging. Substituted the last set of muscle ups with monkey bar pull-ups. Check out the video. I love these 🐵bars! 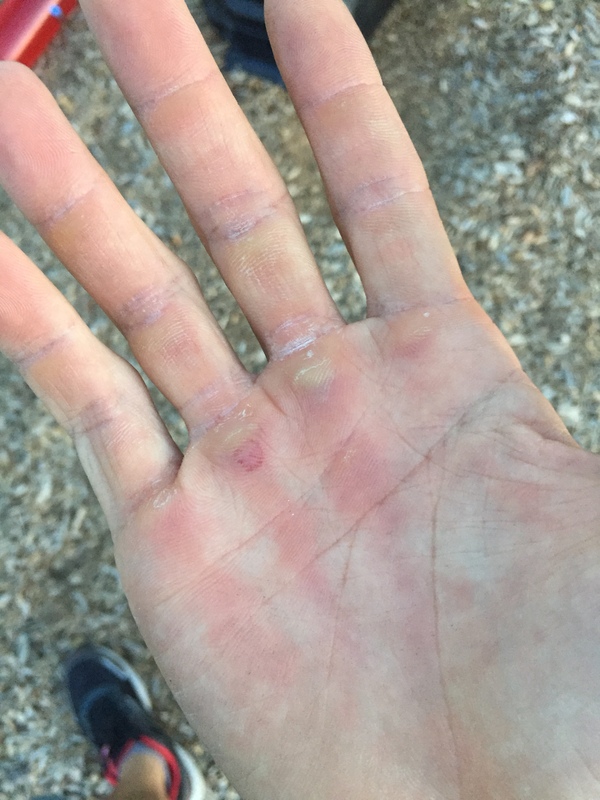 Those Muscle-Ups didn’t give this poor fellow a chance to mature into a big ol’ blister! Next Post Cooking: New method to thaw / steam meat!